Roberts Kart Shop is a family owned, full-service karting specialty shop located in Lovejoy, Georgia, just outside Atlanta. At Roberts Kart shop our #1 goal is to provide top quality customer service to all of our customers, regardless of their budget. Whether your goal is to tear up the grass with your fun kart, or tear up the competition at the track, we can help. Founded in 1994 by Steve and Stacy Roberts, Roberts Kart Shop features a large in-stock inventory of kart parts, and offers full service engine and chassis tuning services. In 2008, RKS launched the Razor asphalt sprint chassis. With quality second-to-none, the Razor chassis is proving itself weekly at tracks throughout Georgia, Florida, and nationwide. Look for a Razor in the winner�s circle at your local track soon! RobertsKartShop.com was launched in Q4 2009 in response to requests from our regional and national customers. Featuring a user-friendly interface, competitive prices, and fast shipping, customers can expect the same top-notch quality and service from our online effort. Steve Roberts began racing karts at the age of 5, racing asphalt sprint events throughout the southeast and numerous national events, as well. Fast forward over 25 years, and Steve is still racing karts. 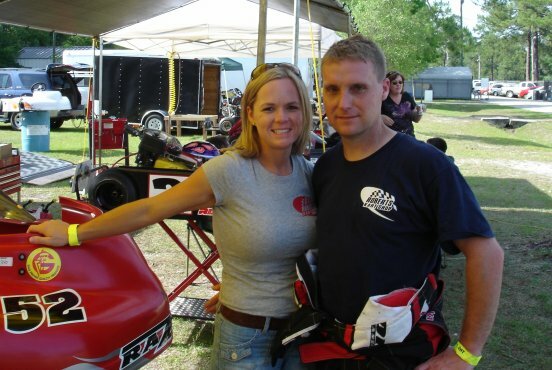 Steve began his career behind the counter and in the engine room in 1988 at Conkle�s Karts and Parts. In 1994, Steve purchased Conkle�s, changing the name to Roberts Kart Shop. With over 20 years of experience in kart tuning, Roberts Kart Shop has the knowledge and product line to put you in front of the pack.